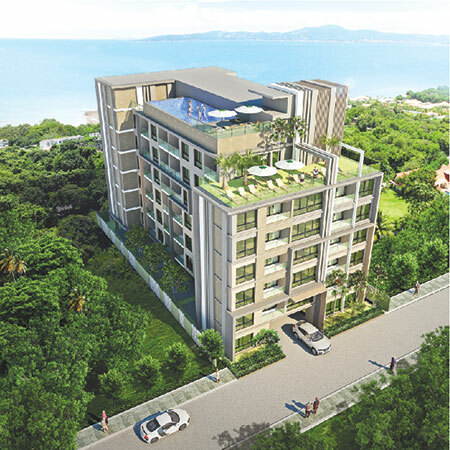 Siam Oriental Elegance 1 is the fourth condominium from Siam Oriental Condos. On the street level of this 8-storey building there are a sheltered parking lot and two business offices. Apartments are on storeys 2-8, from 24sqm studio all the way to 48sqm spacious rooms. Every apartmenthas its own balcony apart from few exceptions. A beautiful sea view opens from the upper floors apartments. Large sun deck is on the 7th floor. There are 5 penthouse-apartments and a common swimming pool on the roof. Get a Brochure about this Unit, Overview Additional, Pricelists, Monthly Costs, Floor, Room & Eventual Payment Plans.